Oh lovely, lovely flat, in which I am all too rarely! 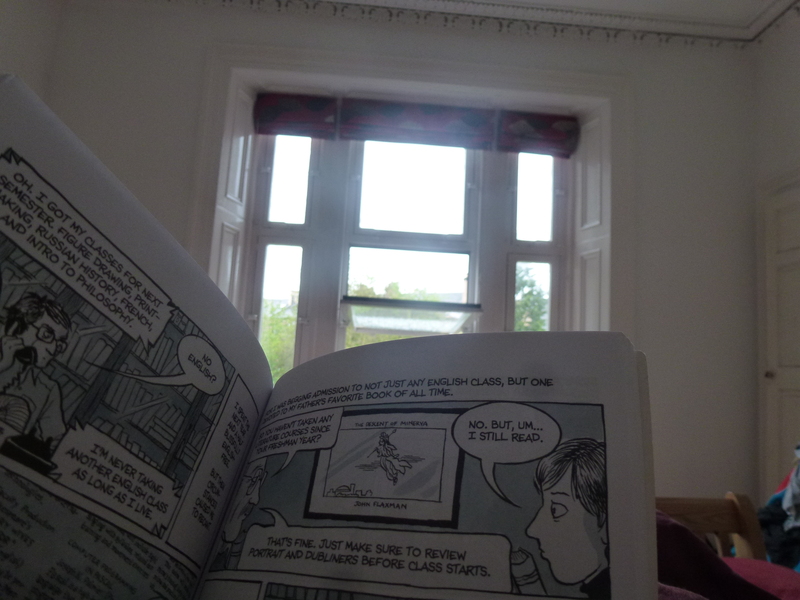 The photo above represents the utterest bliss: book, bed, an open window, late Glasgow spring (equivalent to winter in many places, but still), Radio 3 (not pictured). I realise that the intense joy I get from such a simple thing is because it is so rare, but sometimes I wish it were slightly less so. I’d never actually read any Bechdel before, despite being vaguely aware of Dykes to Watch Out For and, of course, the fabulous Bechdel Test. But Fun Home is wonderful: erudite and thoughtful and funny and moving all at once. I was sorry to finish it. *The Mists of Avalon, Marion Zimmer Bradley; Fatherland, Thomas Harris; and … something by Jilly Cooper. Polo? Rivals?